the nocturnal nomad: You will go to Cairo. You will go to Cairo because of palm trees, smog and sand. 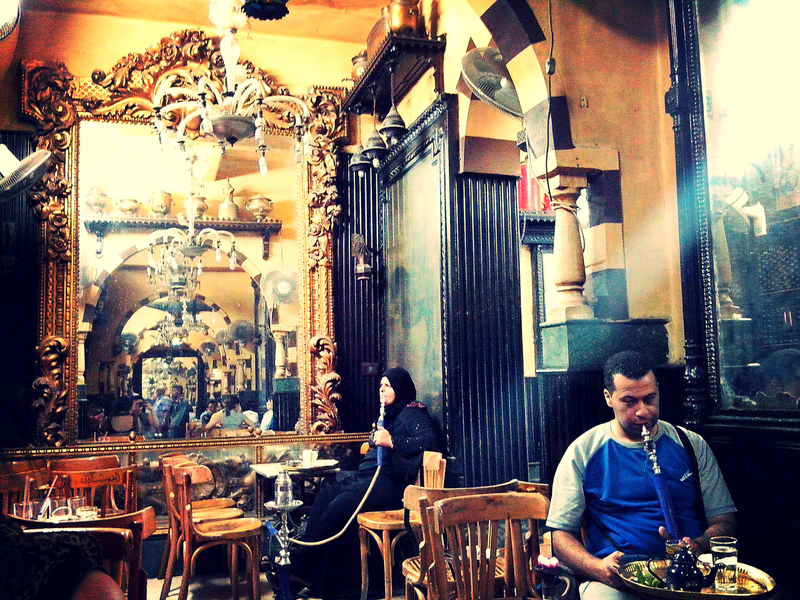 You will go to Cairo for its sheesha cafes in narrow alleys downtown, plastic chairs and tiny little metal tables. 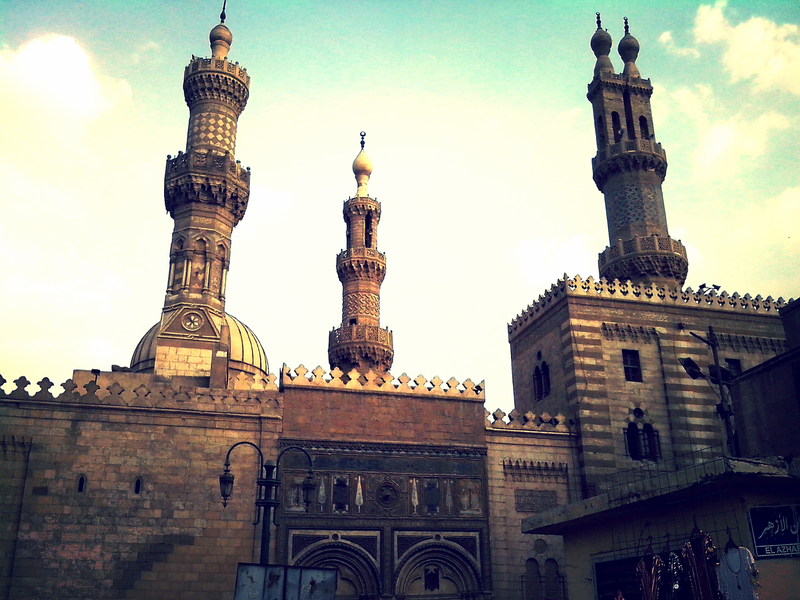 You will go to Cairo to mimic the feeling of going back in time. You will go to Cairo to feel frightened in Elevators. You will go to Cairo because of mint tea, served in a glass cup, with an egg cup of sugar on the side, and a tiny metal spoon. You will go to Cairo to see pyramids, obelisks and minarets. You will go to Cairo to hear Oum Kulthum playing quietly in a taxi, as you circle endlessly through chaotic suburbs, trying to find your house. You will go to Cairo to pet its feisty street cats, before their skinny legs whisk them through a busy intersection to grab a stray garbage chicken bone. You will go to Cairo for tarnished brass, weathered wood and dusty glass.You will go to Cairo and eat endless triangles of laughing cow processed cheese. 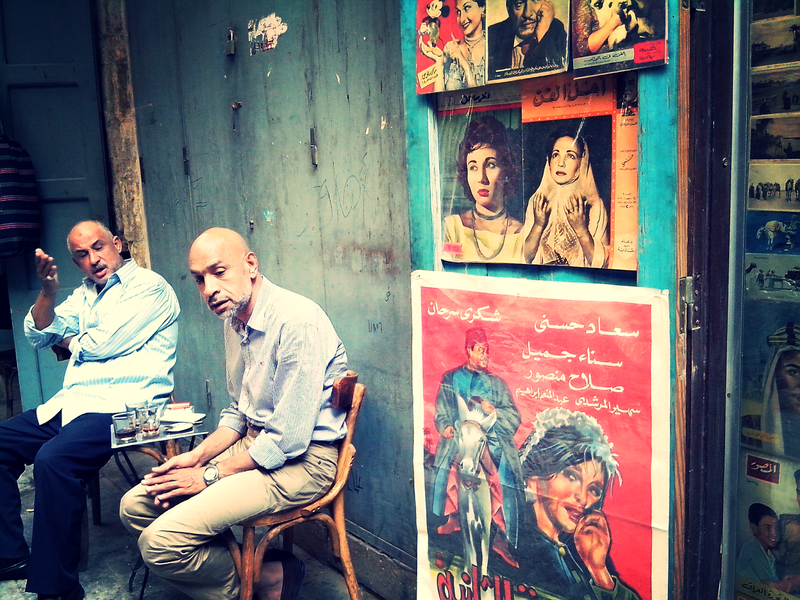 You will go to Cairo because of tiny dive bars playing old black and white movies on the television, with old men gathered around, smoking endlessly, wearing vintage blazers and thick glasses. You will go to Cairo to pretend you are in a Naquib Mahfouz novel. You will go to Cairo to get lost downtown and dodge taxis and motorcycles balancing giant jugs of water on their back seats. You will go to Cairo to be woken by the 5 am call to prayer, wailing outside your bedroom window. You will go to Cairo to sweat in your skinny jeans, and watch women in black chadors keep their cool. You will go to Cairo to take the metro and have teenage boys flex their muscles, trying to impress you. You will go to Cairo and wash your tomatoes and cucumbers very carefully. You will go to Cairo and count the line of ants in your living room, an intricate complex system of pests, almost invisible, obviously plotting the take over of your entire house. You will go to Cairo to smell jasmine bushes, hibiscus flowers, and dirt. You will go to Cairo to step over a baby crawling along the busy sidewalk. You will go to Cairo to smoke. You will go to Cairo to have giant plates of rice, fried onions and lentils delivered to your door at 2 in the morning. You will go to Cairo to laugh maniacally, to speak loudly, to walk fast. You will go to Cairo to meet other people as crazy as you.